I’ve been unsettled lately. The universe seems to be sending me (and lots of people I know) signs that we need to simplify, focus, cultivate warmth and compassion. Of course, I turn to knitting, as it is one of the crafts I can count on to engage my mind without leaving much room for thinking about what seems to be a bleak next few months. A yarn I’ve been loving is West Yorkshire Spinners Illustrious, a serious wooly wool that isn’t scratchy or fuzzy. West Yorkshire Spinners are based in England (of course!) and source their wool locally, processing it in a very traditional way on state of the art equipment. It’s the best of both worlds or handmade craftsmanship and cutting-edge technology. The result is a tightly spun DK-weight yarn in 12 delicious colors to use as you’d like. Stranding, cables, textures, open-work; Illustrious can do it all. West Yorkshire Spinners commissioned designer Emma Wright to come up with a series of garments, accessories, and wearables to showcase Illustrious, and her 11 patterns reflect the design process from start to finish. 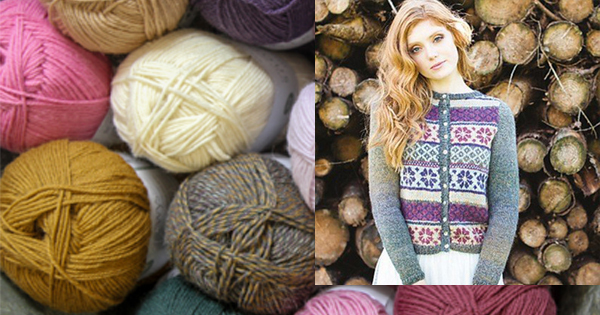 I’ve been eyeing a fantastic colorwork cardigan called Hermione so I can use as many of those 12 colors as possible. What kind of knitting takes you to a happier place? Let us know in the comments. 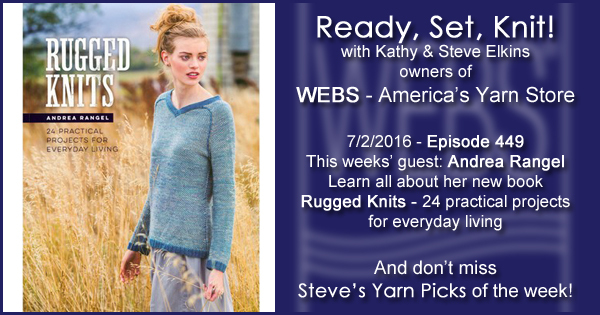 This week Kathy talks with Andrea Rangel about her new book, Rugged Knits. Andrea learned to knit as a child, but didn’t really make it part of her life until college and had her first pattern published in Knitty in 2009. This book has been in process since it’s proposal in 2014, and the yarn choices as well as the functionality of the patterns was super important to Andrea. Listen in to learn how function, beautiful details and yarn choices came together in these 24 designs. You can follow Andrea on Instagram: @andrearknits, Twitter: @andrearknits, Facebook: Andrea Rangel Knits, or connect with her on Ravelry: Designer Page; Ravelry Group. Our retail Store is closed Sunday July 3rd, and on Independence Day, Monday, July 4th. Have a fun and safe holiday! Join us for the 2016 Tour De Fleece! Join our Group on Ravelry or join us in the store during our Spinshops on July 17th 10-4, sign up now! I have been loving Debbie Bliss’s Fine Donegal from afar these days, but I grabbed a skein to check out a particularly pleasing color this afternoon (it has an antiseptic number instead of a name, but if I were the Head Namer at Debbie Bliss, I would probably call it Pine Forest with New-Growth Leaves), and I fell in love with it all over again. It’s a scrumptious blend of wool and cashmere in a sport-weight gauge of 6.5 stitches to an inch on US size 3’s, which is my sweet spot. My love was confirmed when I went wandering around on Ravelry to see what folks are making with this delicious stuff, and found The Vintage Leaf Sweater, designed by Debbie herself and found in the pattern book that supports this yarn (also called Fine Donegal). All the pictures in this book must have been taken on a really hot day because the model looks really mad. No matter; the garments drew me in and especially Ms. Vintage Leaf. Body-conscious, close-fitting at the neck, and with a hypnotic twisted-stitch lace pattern that looks like –you guessed it — leaves. It has an afterthought collar, and elbow-length sleeves that add even more class. It’s snowing here today, and even though we had the coldest weekend ever, I’m hopeful that looking at some sweet tweedy yarn will bring a little spring to mind. Happy knitting! Even though it’s still hot enough to be annoying, school is in session here at WEBS. Fall classes are available online even as we speak! Fall has always been my favorite season, because I’m way better at starting things than finishing them. 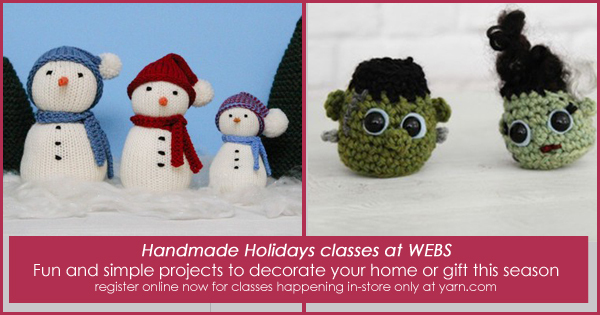 Our Handmade Holiday workshops will guarantee that you’ll have a finished project in a day or two; quickly enough that you can make all kinds of gifts and decorations for the last part of fall without breaking a sweat. For instance…Amigurumi Halloween Monsters. How cute are they? So cute. This three-hour class teaches the basics of amigurumi (small crocheted figures, monsters, food, etc) and you’ll end up with a Frankie, a Mrs. Frankie, and a baby Candy Corn. Amy Stephens, our resident photography coordinator, will be teaching her very popular Snow Families and Evergreens class, and you may remember those from last year’s Holiday Catalog cover. It won’t take long for you to be enraptured with these fun, simple projects to decorate your home, or give to a special friend. We haven’t left out the traditional favorites, either. Challenge yourself with Carol Feller’s Barkentine pattern in Intermediate Sweater Skills. Finally delve into the world of woven cloth in Weekend Weaving. Learn intricate stitch patterns and how to conquer them once and for all in Stitches: Textures. Or whip up a seamless sweater custom-fit to you in Top Down Raglan Sweater from Measurements. Our guest instructors are pretty awesome this fall–returning for a second visit is Kate Atherley, author and technical editor at Knitty.com. 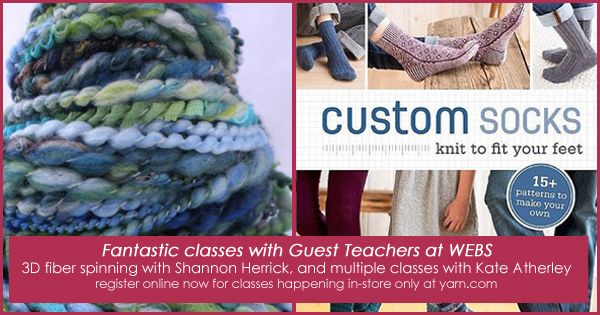 She’ll be teaching a day of design and pattern-writing skills, as well as showcasing techniques from her new book, Custom Fit Socks. And for spinners, Shannon Herrick from Frabjous Fibers will be here in November to play with 3-D Fiber spinning. 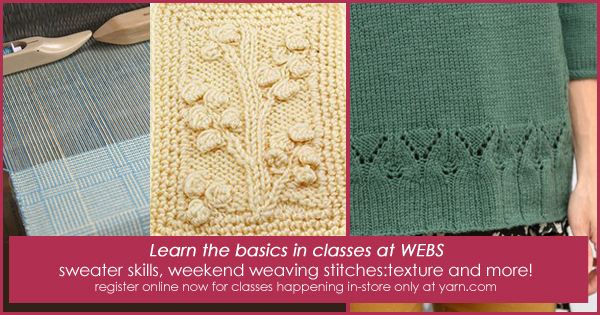 Even if you aren’t near enough to WEBS to take a class, you can choose from tons of great pattern and technique books on our site, or go to our YouTube Channel to learn a new skill! What would you like to master this fall? When I taught my oldest son to knit, he got the basic knit and purl stitches down and one day we sat together, knitting (believe me, this happened maybe twice) and he saw me do a series of decreases to make a raglan sleeve. Just like that, he was fascinated, and spent the next six months increasing and decreasing a ratty piece of knitting that he kept in my knitting bag. I can understand his amazement at how simply increasing or decreasing stitches can make a round shape out of a square swatch. 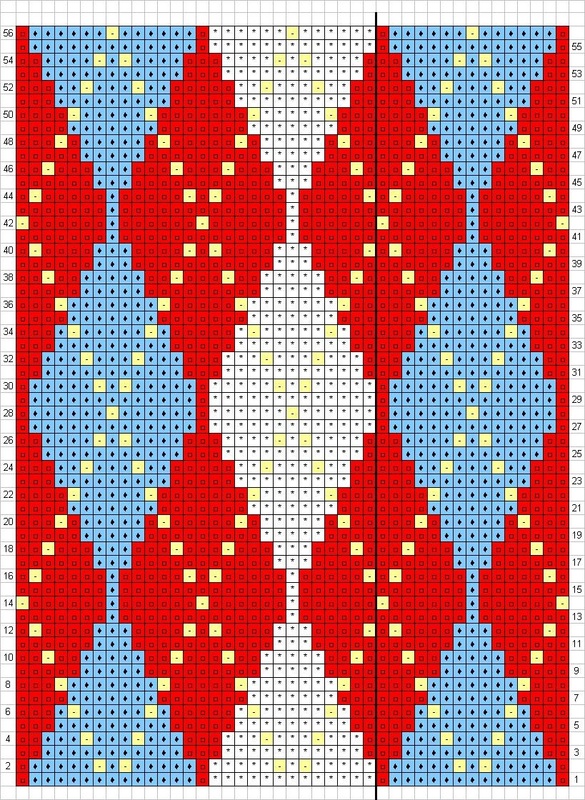 I can never remember, however, which increases slant right or left, which decreases should be done in the center of a row, as opposed to a few stitches from the edge, and what to do when faced with the pattern instruction, “PFB twice in one stitch, turn, k2 bobble stitches, turn, and work p2tog, p2tog tbl, pass decrease.” WHAT? 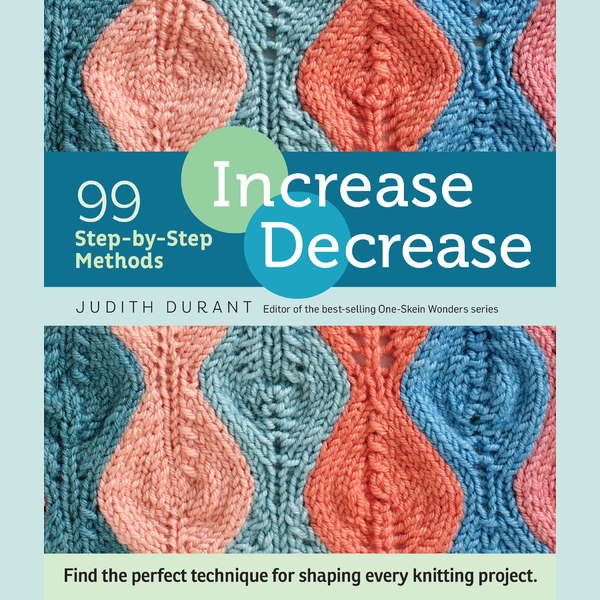 The guidebook for the 21st-century knitter is the newest book from Storey Publishing, Increase Decrease: 99 Step-by-Step Methods by Judith Durant. Judith has edited all the “One-Skein Wonders” books made so popular by Storey, so I know she’s a fount of knitting knowledge. Increase Decrease has the best possible construction for a craft book: a spiral binding so that the book lays flat while you try out all those irresistible new ways of shaping your knits. Judith gives readers the topology of the increase or decrease, and at the same time, she lets you know what it’s best use is. 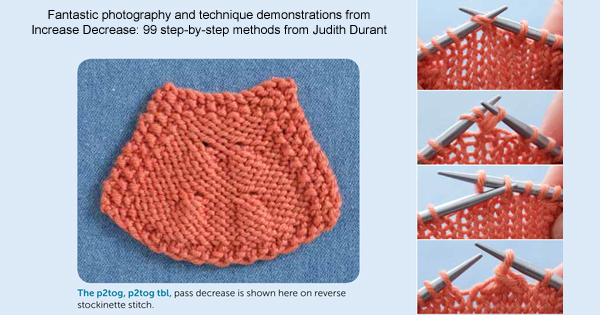 Single increases and decreases work well for knit/purl stitch patterns, while Yarnover Multiple Increases tend to be best used in a lacy garment as they show up as openwork. Twist-and-Hide Decreases are great for garments with a twisted-stitch pattern where you want to hide the decrease. Some increases and decreases show up on both the knit and purl sides, some are completely hidden, and many of the double increases and decreases can be used for knitting that is shaped on two sides at once. Increase Decrease also gives you “something special” extra-credit reading, with Increases and Decreases for Decorative Effect, such as bobbles, ruching, closed-ring cables, or lace. 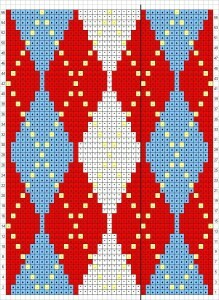 There are even increases and decreases for colorwork! Like all those great craft books from Storey, there is a list of common abbreviations, and symbols that you’ll see in charted knitting, as well as a very thorough index. Much like it’s sister book, Cast On Bind Off by Leslie Ann Bestor, I’m pretty sure I’ll be carrying this book in my knitting bag for any project I’ll start. I’ve been paging through our latest catalog featuring some of our new Spring yarns and designs. It seems like it’s been snowing a lot lately, and as much as I like hiking and snowshoeing, I’ve been thinking a lot about what I’ll put on the needles in the warmer months. I was struck by Classic Elite Yarns’ new pattern collection, “From Folly Cove.” It features designs by Julia Farwell-Clay, who has a design sense that skews right up my alley. What I love about these patterns, and the theme of the collection, is that she takes her inspiration from the works of the Folly Cove Designers, a group of women who hand-printed textiles in Gloucester, MA, from the 1930’s until the late 1960’s, when author and founder Virginia Lee Burton Demetrios (The Little House, Mike Mulligan and His Steam Shovel) died. My husband’s family has been going to Gloucester ever since he was a pre-teen, and he and I take our kids to there every summer. We love the beautiful beaches and towns, and the history of Cape Ann. We always ride our bikes down to the harbor to see the Gloucester Fisherman Memorial and we try to time our summer visits so that we can be in town for the annual Festival of St. Peter. The designs in “From Folly Cove” take elements from the original textile print blocks created by those innovative women of Cape Ann. The Iarrobino Vest is a vest pattern using a butterfly tesselation motif as inspiration, and the matching cowl (you know my love for cowls) focuses on a single motif turned over and upside-down. The Cape Ann Stole calls to mind the repeating patterns of the sand dunes at Good Harbor Beach, and is a perfect shoulder-warmer for the nights when the breezes over the Atlantic Ocean turn chilly. 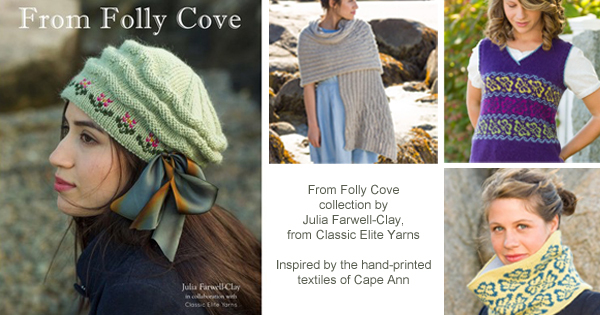 I hope you’ll thumb through “From Folly Cove” and when you’re finished picking out the many patterns you’ll be making, take a hop over to the Cape Ann Museum‘s web site to read about the original designers and their groundbreaking work. 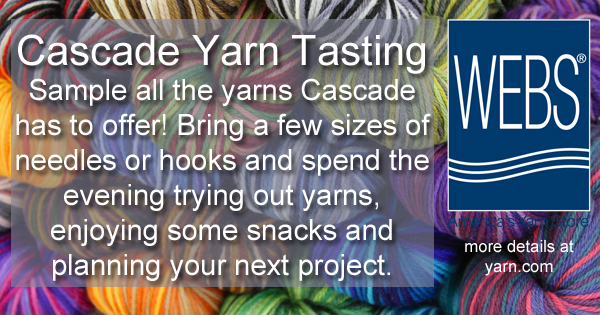 Yarn Tasting,Trunk Shows and Fun…Oh My! 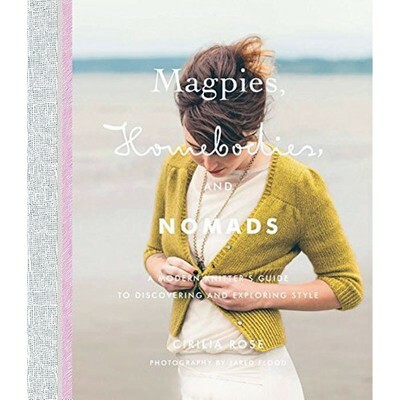 If you visit the store in mid February you’ll see the stylish and cozy garments from knitwear designer Cirilia Rose in the trunk show from her new book, Magpies, Homebodies and Nomads. Cirilia began her knitwear career at WEBS while a student at UMASS, and has worked with important knitwear companies such as Berroco, Skacel and currently , New Zealand mill Woolyarns. Over 20 garments and accessories will be available for you to discover in this trunk show, and you can pick up a copy of her book while you’re here. There are always book signings, trunk shows and special events happening in our store, be sure to check our calendar and the Events listing to see what’s coming! This year, I didn’t throw myself into the knitted-gift frenzy that has made the last few years a little dicey in terms of holiday engagement. (That means I was the Grinchiest Grinch ever as I glared at every recipient of the scarves, hats, mittens, and cowls that I was knitting for them. Poor planning is my defense.) I’m taking the long view this time around. I’m looking ahead to 2015, because I’m thinking about what I might want to do differently in the coming year. I don’t make resolutions. Too much commitment. I make vague goals and if (when) I don’t end up fulfilling them, well…lesson learned. Move on. Next year, I’m really going to concentrate on the details. I’m going to move past my go-to Long Tail Cast-On and Knitted Bind-Off. I’m going to experiment with cast-ons and bind-offs that are complementary to my project and look beautiful. Lastly, I’m going to stop making the thought of perfection ruin a perfectly good knitted piece. Only I know that I bumbled a knit stitch into a purl. Nobody will ever see the mismatched decrease except me. I want my knitting to be fun and comforting, not a showpiece. That’s why I started knitting in the first place. I might add, in a self-serving way, that some of these things can be learned in a class. And that leads me the now open-for-business winter/spring class registration! Check out our offerings and see what you might like to tackle in 2015. Kathy talks with Leslie Ann, WEBS weaving Manager, about her new book How to Knit, from Storey publishing. 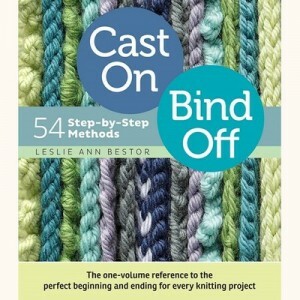 This is Leslie Ann’s second book, her first being Cast On, Bind Off. 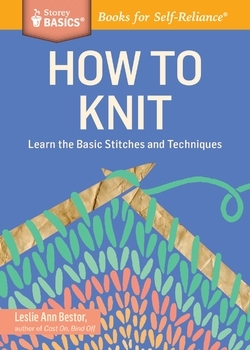 This book is an introduction to knitting and takes the reader from zero to a comfortable working knowledge of how to knit as well as the basic stitches, terms and tools. This is the book you grab when you have that grandchild/nephew/sister/friend who wants to learn to knit! Sara Delaney and Leslie Ann Bestor Book Launch – August 28th 5:30-7pm – They will talk about the new Storey Basics line of books for fiber artists and their own writing and crafting process, and they’ll sign your books, too. The event is free but please register! Classic Elite Fall 2014 Event – Sept. 18th 6-7:30pm – The event is free but registration is required. We have an amazing line-up of guest teachers this year! Amy Herzog in September, Susan B Anderson will be here Columbus Day Weekend, Dora Ohrensten is doing a weekend of crochet classes in November! And be sure to check out all of our upcoming Events here. 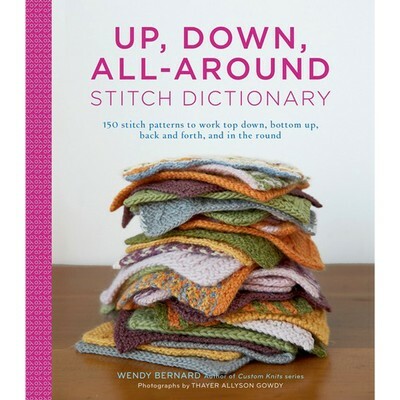 This week Kathy talks with Wendy Bernard, author of the new book Up, Down, All-Around Stitch Dictionary. Wendy talks about her journey from Marketing to knit design. This book is packed full of over 100 stitch patterns that Wendy presents in four different ways: top down, bottom up, back and forth, and in the round, as well as 11 patterns into which you can easily insert your own choice of stitch patterns. Reminder: Our yearly Capstone ceremony happened earlier this week with 6 new graduates from our WEBS Expert Knitter Program. You can learn more about the program here. The 4th Annual I-91 Shop Hop is happening NEXT WEEKEND! – June 26th-29th, get your Passport Today! 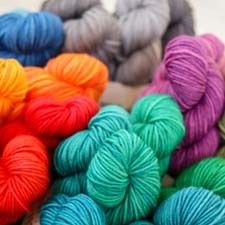 Stop by and check out current the Classic Elite Yarns Trunk Show.